2018 Ford Fusion For Sale In Vernon, Kelowna, Okanagan, BC. Allow yourself to bask in the glory of perfection with the 2018 Ford Fusion. This incredible lineup delivers astonishing efficiency, detailed luxury, and performance like never before. Through a sophisticated four-door exterior and seating for up to five, this vehicle enhances your routine and encourages safe driving. Trim levels include the S, SE, Hybrid S, Hybrid SE, Titanium, Hybrid Titanium, Energi SE, Energi Titanium, Hybrid Platinum, Sport, Platinum, and Energi Platinum. 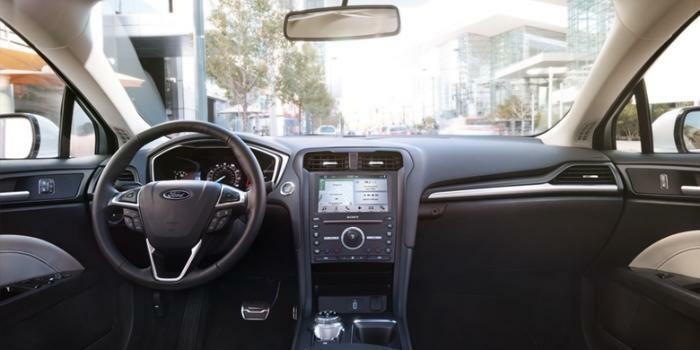 You are going to want to take a closer look at the 2018 Ford Fusion as it presents an interior layout that emphasizes driver control and elevates sophisticated luxury. Optional ambient lighting welcomes you inside as the available aluminium sport pedals elevate your experience with a sporty touch. Keep your interior satisfactory for everyone through the available Dual-Zone electronic automatic temperature control system as you set two different front temperatures at the same time. An available premium leather-wrapped and stitched instrument panel and console rails bring refinement to your environment as the 10-way power driver’s and passenger’s seats with available premium leather seating surfaces ensure the perfect position with optimal support. With both hands on the available heated and leather-wrapped steering wheel, you are not only given modern comfort, but you are also given mounted controls for easy access to your settings. 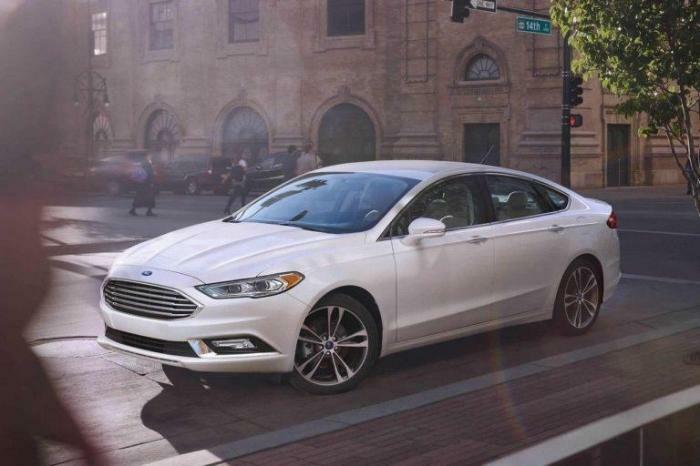 Attention to detail is evident with the exterior design of the 2018 Ford Fusion. Through its aerodynamic body profile and sweeping bodylines, this model elevates performance as it draws in onlookers everywhere you go. Details such as the available premium sport or chrome grille and dual integrated bright exhaust enhance your aesthetics while the available LED headlights, LED taillights, LED fog lights, LED signature lighting and Daytime Running Lights expand visibility for a variety of weather conditions. 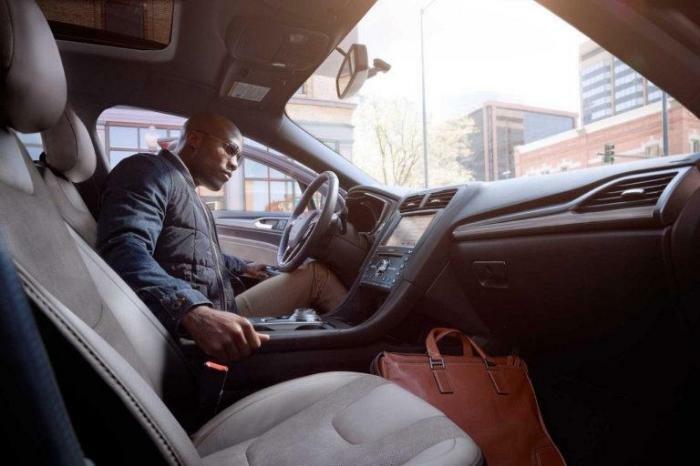 Make your journey an integrated one in the 2018 Ford Fusion as you connect to your compatible devices for hands-free calling, music search and more thanks to SYNC 3. This innovative system enables you to stay connected to what is important without compromising your focus on the road. You are also given a Voice-Activated Navigation System for turn-by-turn directions to an array of destinations, helping you arrive with ease. Express your unique sense of taste and equip your 2018 Ford Fusion to meet your needs and preferences through a series of genuine Ford parts and accessories. You are given interior protection through a selection of all-weather floor mats as well as cargo mats and trays and seat covers. Make the most of a Canadian winter with the addition of a remote start system, giving you the ability to start the engine and get things warmed up before you head outside. Immeasurable power and capability are found with the 2018 Ford Fusion as you drive with an abundance of resourceful features. Embrace the available intelligent all-wheel drive for balanced torque between front and rear wheels as you experience enhanced traction and impressive control. Through the available EcoBoost technology, you are given increased performance and efficiency while the 6-Speed SelectShift Automatic Transmission refined handling and responsiveness. 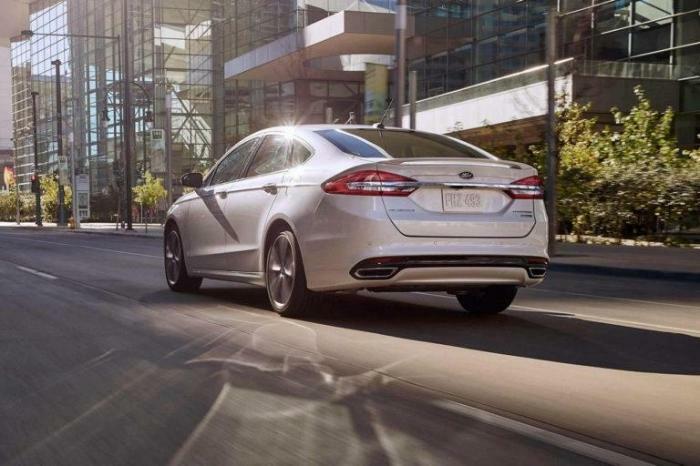 Break out the ordinary as the 2018 Ford Fusion elevates your daily routine with enhanced performance and efficiency. You are given a range advanced technology features to improve communication, entertainment and more without distraction so that you can drive with peace of mind. Explore the 2018 Ford Fusion at your local Vernon Ford dealer – Watkin Motors Ford. Through a vast selection of vehicles and a team of dedicated professionals, Watkin Motors Ford is committed to helping you find the perfect fit.